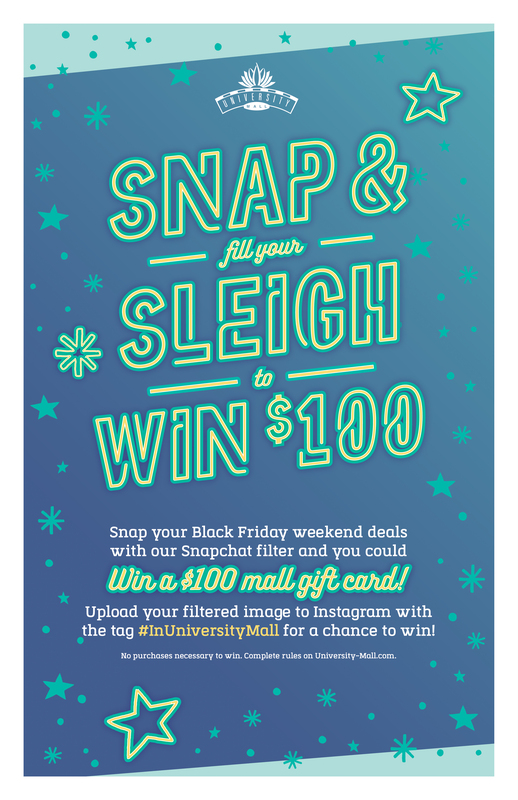 Upload your image with our Snapchat filter to Instagram with the hashtag #InUniversityMall for a chance to win a $100 University Mall Gift Card. Take exit 73 to U.S. Highway 82. University Mall is on the right before 15th Street. Take the 15th Street exit East to McFarland Blvd (U.S. Highway 82). Mall is on the right. 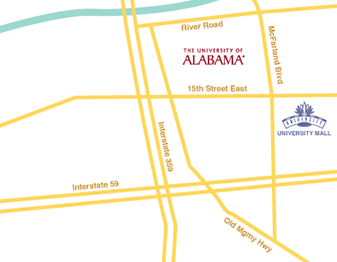 University Mall has been West Alabama's IN place to shop for more than 30 years! With a unique selection of fashions, gifts and more, find the largest collection of your favorite stores all under one roof. Conveniently located in Tuscaloosa, AL at the corner of McFarland Blvd. & Veterans Memorial Pkwy.